AOST Group Limited is a UK registered company, with operations in the Mediterranean Sea. Our operational headquarters are strategically located in Malta. We are close to the oil and gas activity in North Africa, as well as in the middle of the shipping lanes that cross the Mediterranean. AOST is also the founding member of OSRA INTERNATIONAL, the largest oil spill response organization, operating with offices and bases in seven countries across the Mediterranean. 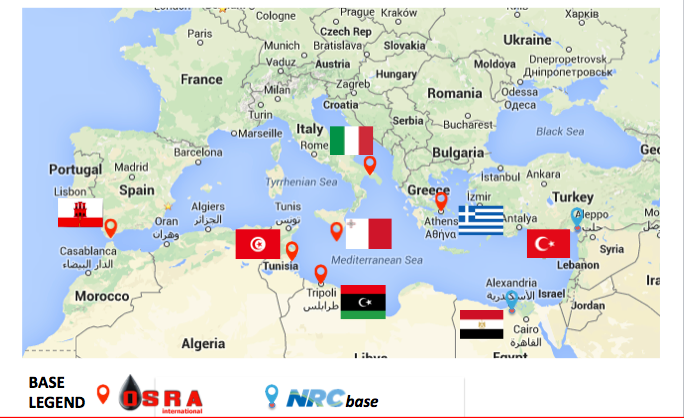 OSRA provides Mediterranean-wide response coverage to the busy shipping lanes linking the west and east Mediterranean as well as to shipping in the Greek and Turkish waters. The organization has operational bases in Italy, Malta, Tunisia and Greece, as well as an office presence in Gibraltar and Libya. Through an exclusive arrangement with NRC, AOST is also able to extend oil spill response services in Egypt and Turkey. NRC is a global market leader in the provision of environmental, industrial and emergency response solutions.